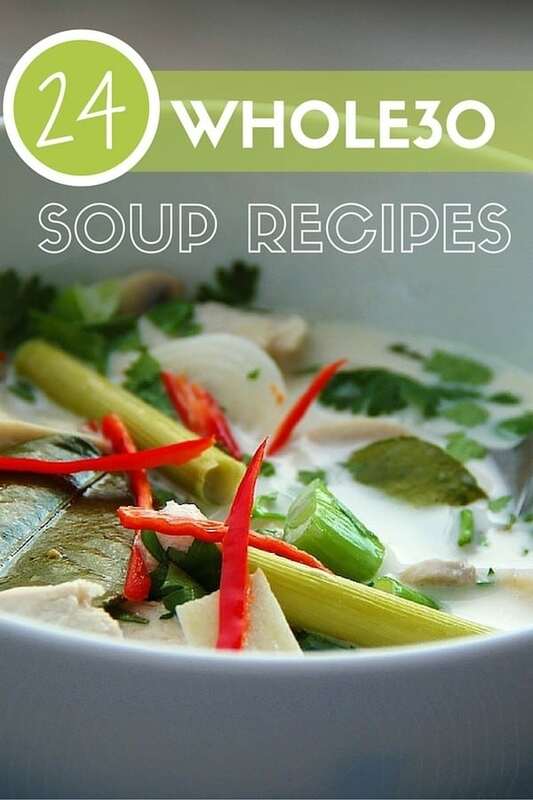 Whole30 Soup: 24 Tasty Whole30 Soup Recipes! Whole30 Soup: 24 Whole30 Soup Recipes! Whole30 soups are tasty way to stay compliant – cook up one of these recipes to keep you warm and full! 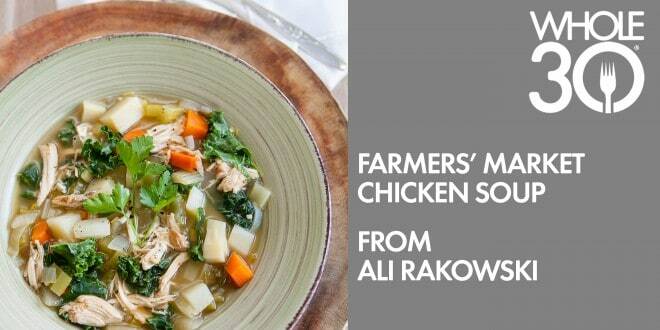 Try the above Farmer’s Market Chicken Soup, from Ali Rakowski via Whole30 website. It features free-range chicken with a host of tasty veggies! 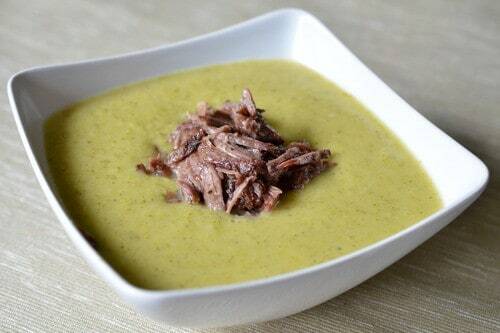 Cream of Broccoli Soup from Nom Nom Paleo, featuring broccoli, leeks, apple, chicken, and other ingredients. 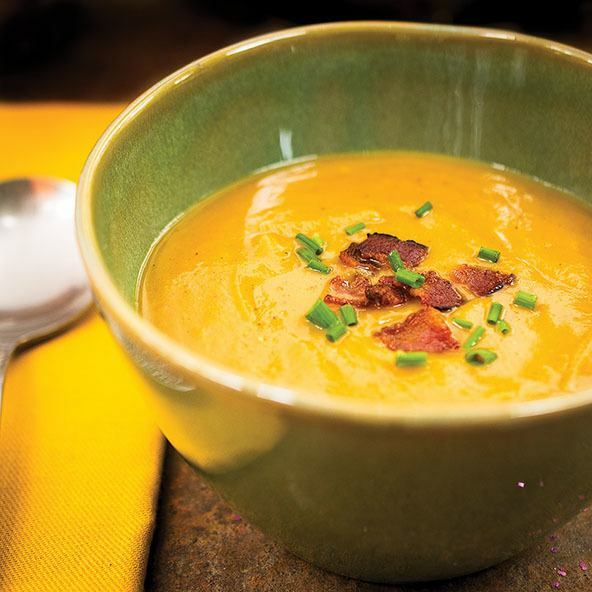 Next up is an incredible Paleo Sweet Potato Soup with Bacon from Well Fed! This recipe features sugar-free, nitrate-free Whole30 compliant bacon with onion, garlic, and sweet potatoes! 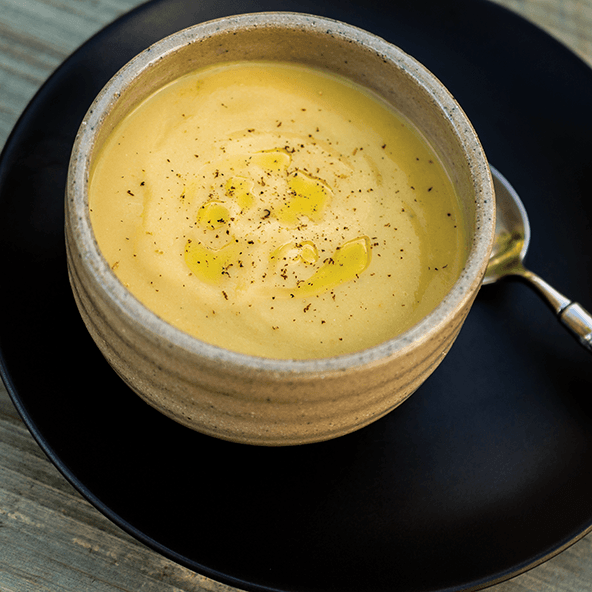 Another Whole30 soup recipe from Well Fed is the Golden Cauliflower soup, with cauliflower, onion, carrots, and garlic. 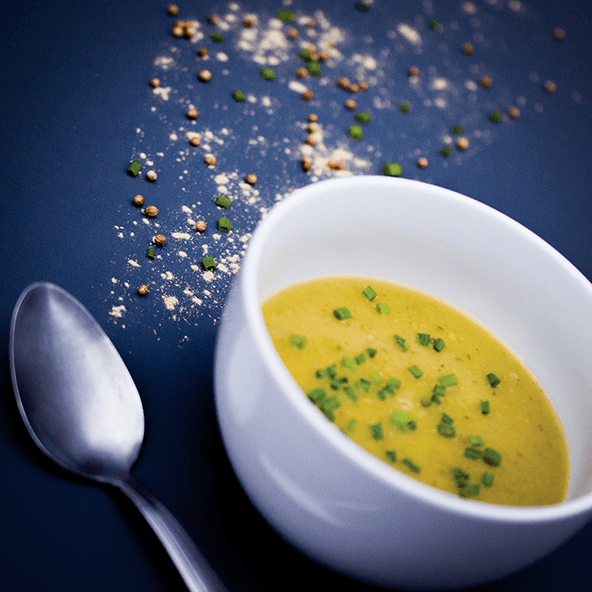 We’ve got another tasty Whole30 soup recipe from Well Fed, this time it’s the Silky Gingered Zucchini Soup. This one is short on ingredients and very doable. 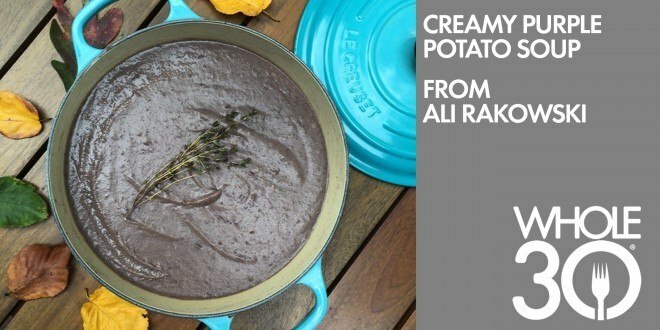 Check out this amazing Purple Potato Soup from Ali Rakowski on the Whole30 website! The uniquely colored potatoes make this fun-shared soup a good one to try. 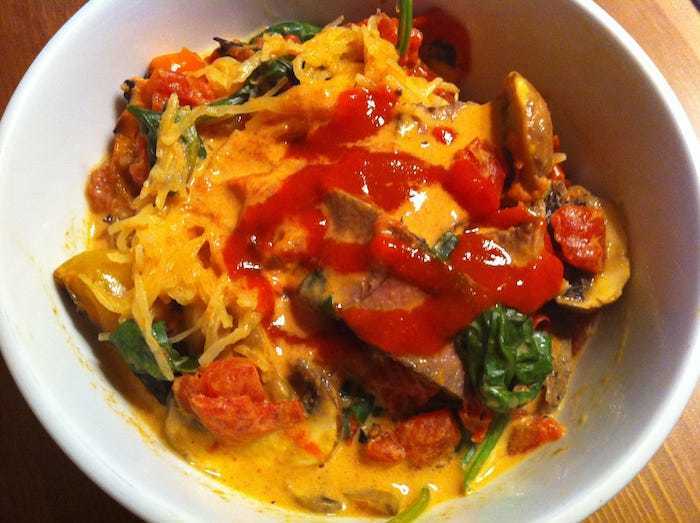 Check out the Easy Red Curry Whole30 Soup from Stupid Easy Paleo. 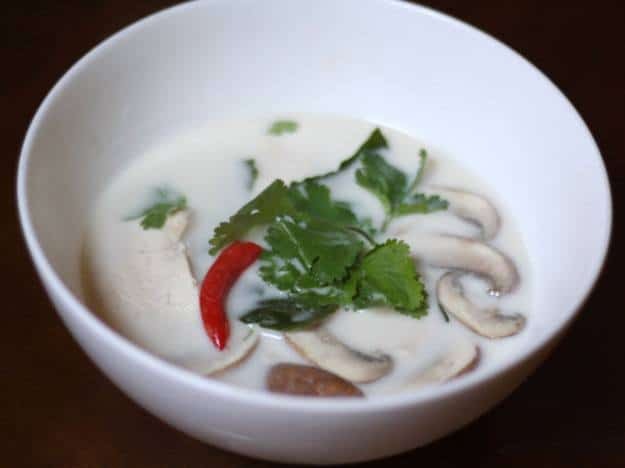 For Whole30-ers who love thai-style soups, you have to try this Thai Coconut Chicken Soup (Tom Khai Gai) With Mushrooms from Serious Eats! 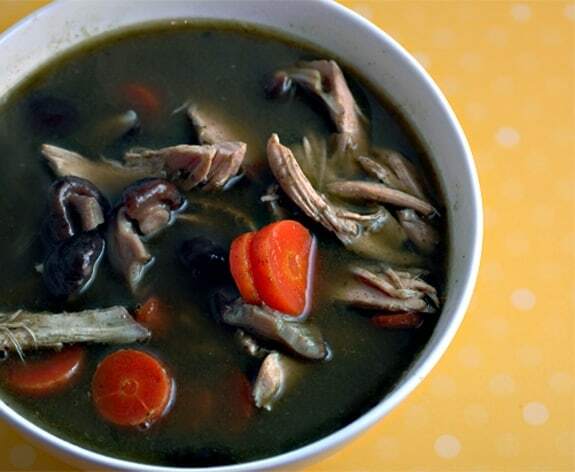 Another great Whole30 chicken soup recipe is the Green Chicken Soup from Elana’s Pantry, with only 5 simple ingredients – chicken, chicken stock, kale, carrots, and shiitake mushrooms. 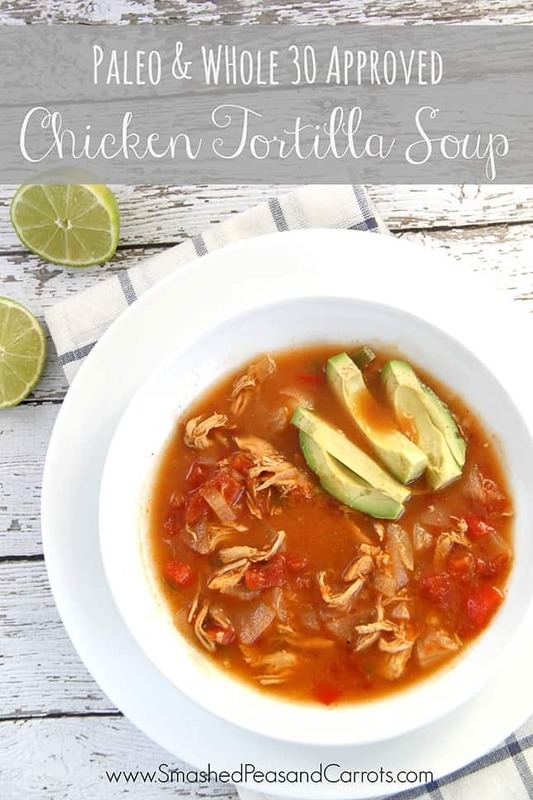 Try this Chicken Tortilla-less Soup from Paleo Comfort Foods! 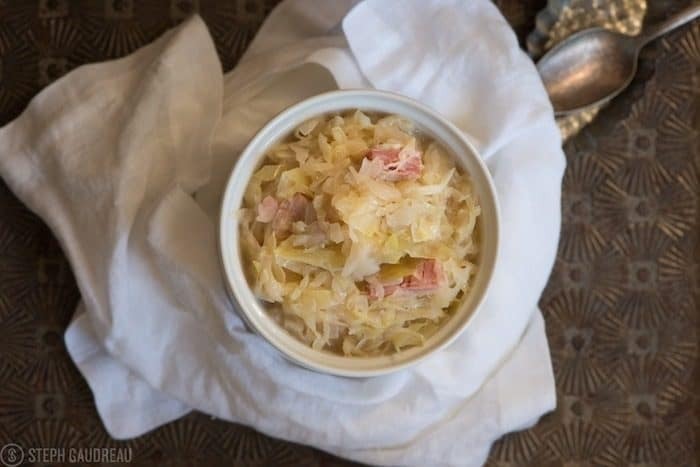 Give this Polish Cabbage Soup a try from Stupid Easy Paleo. 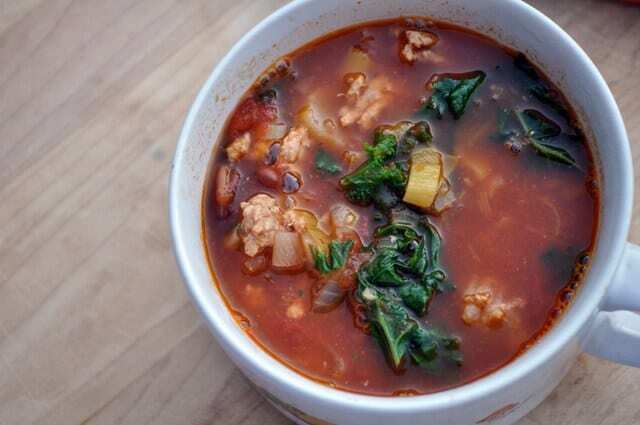 The Paleo Portuguese Kale Soup comes from What Runs Lori. 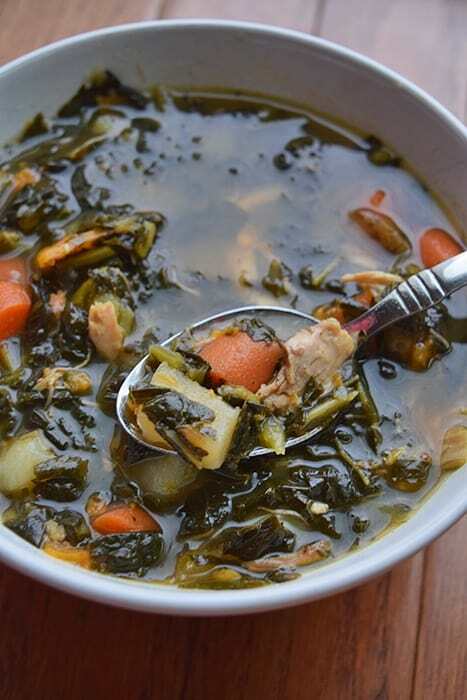 This Kale, Potato, and Chicken Soup comes from Green Lite Bites. 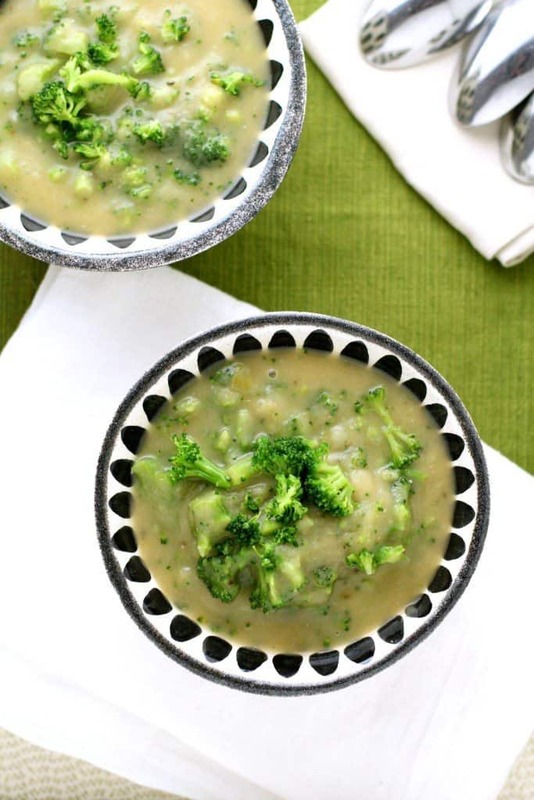 Cook up this Broccoli, Leek, and Potato Soup from Fervent Foodie! This Whole30-friendly Hearty Vegetable Soup recipe comes from I Heart Nap Time. 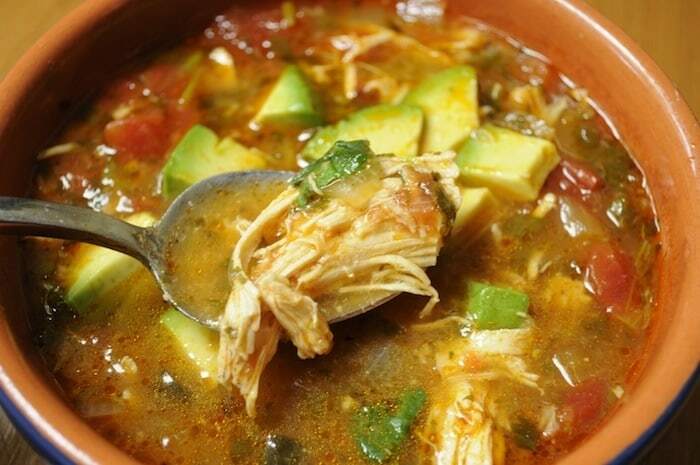 This Chicken Tortilla Soup comes from Smashed Peas and Carrots. If you’re into crockpot cooking, make sure to check out our collection of Whole30 slow cooker recipes as well! 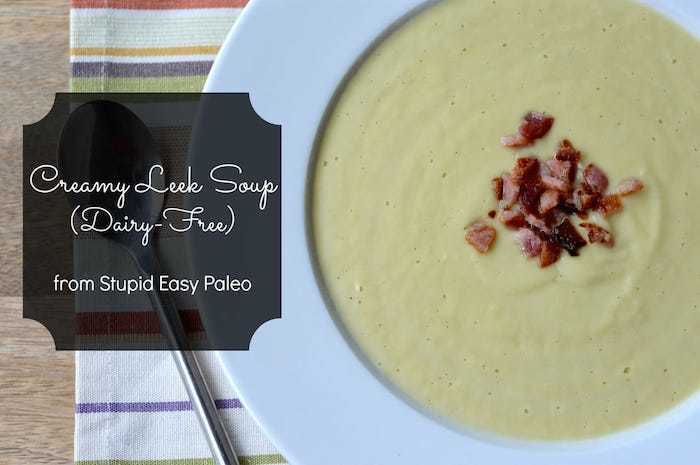 This Dairy-Free Creamy Leek Soup is another top Whole30 soup recipe from Stupid Easy Paleo. Craving a chicken soup classic? 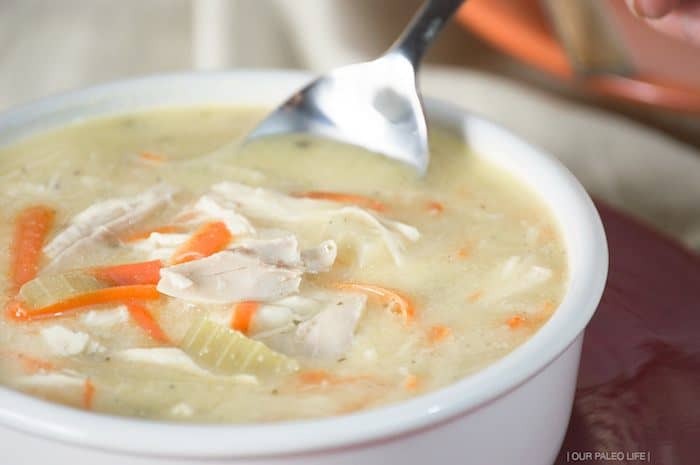 Try this Creamy Chicken “Noodle” Soup from Our Paleo Life! 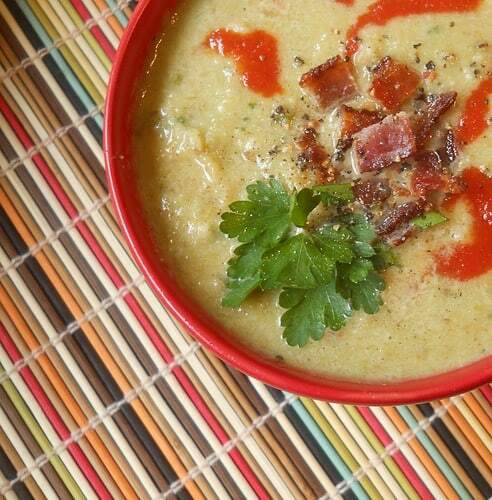 This Whole30 Creamy Bacon, Leek, and Cauliflower Soup (BLC) comes from Apron Strings. Bacon lovers rejoice! 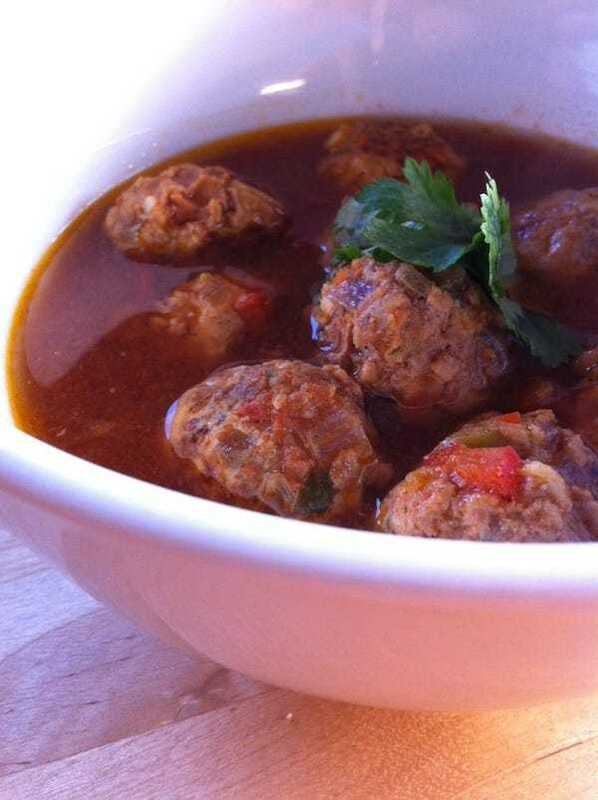 Try this Jaime’s Meatball Soup from Stupid Easy Paleo! 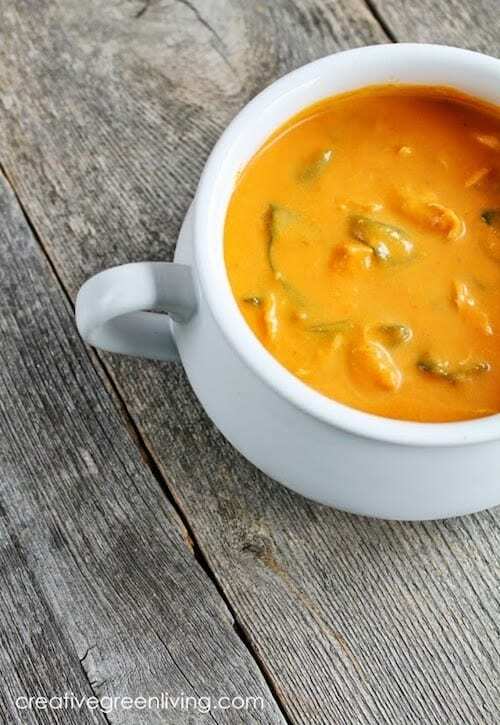 The above Chicken, Carrot, & Coconut Curry Soup comes from Creative Green Living. 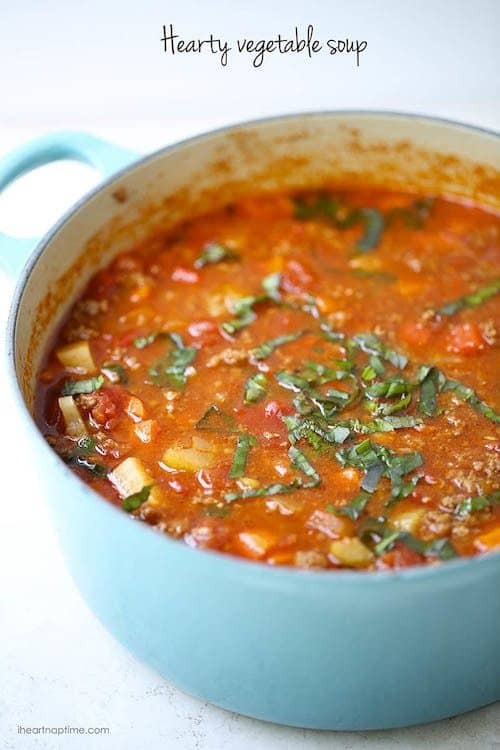 Check out this Roasted Tomato Basil Soup from StirItUp! 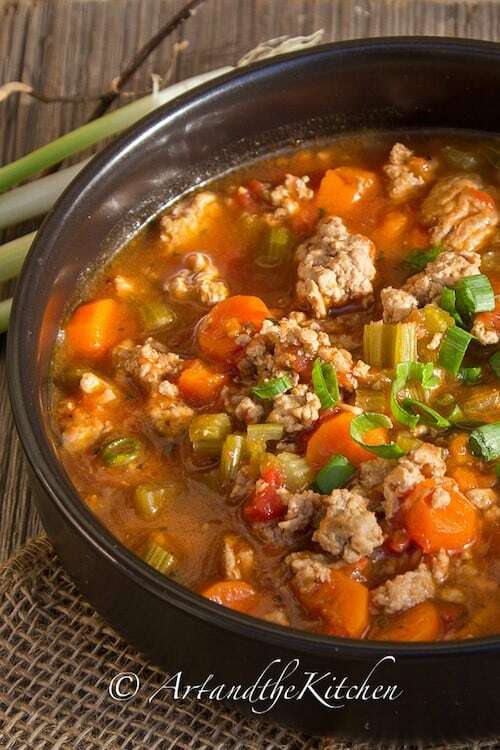 Don’t miss out on this Italian Turkey Burger Soup from Art and the Kitchen! 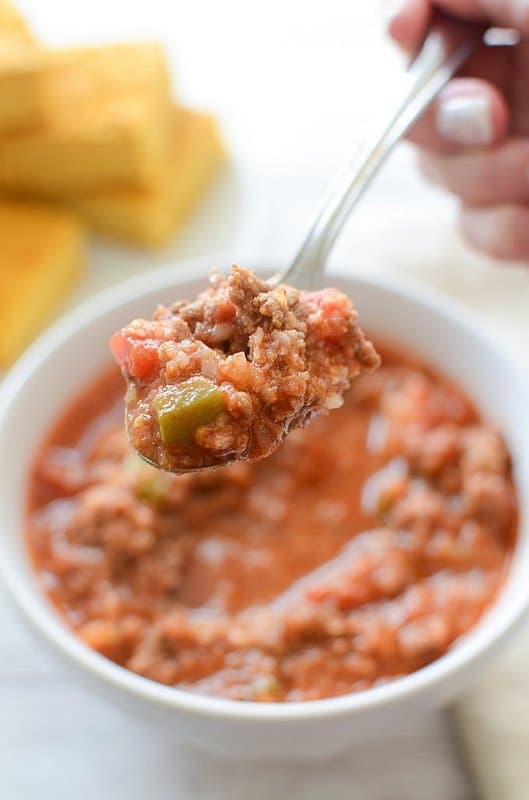 You have to try this Paleo Stuffed Pepper Soup from Fake Ginger. 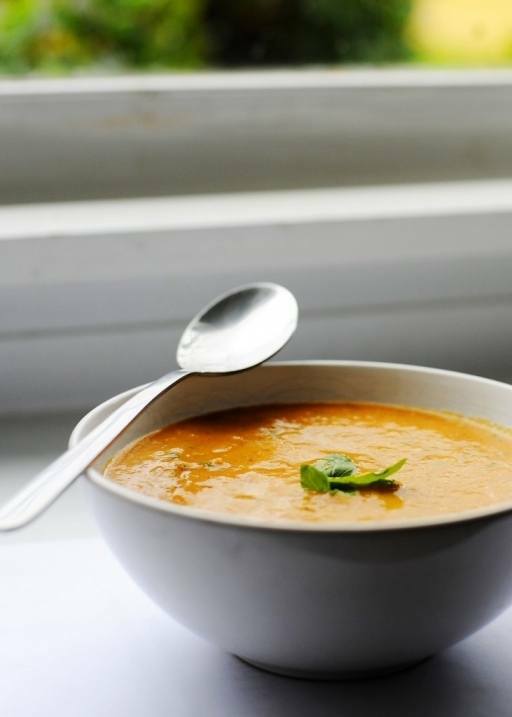 What do you think of these Whole30 soup recipes? Tell us what your favorites are! Yummy! I love the soup. Soup are good for health. I usually used to have a soup. But i don’t like same flavor soup in routine. So i tried different flavor soup. And thank you for sharing these 24 soup recipes.i’ll get the numbers of soup recipes to have. And i’ll try these recipes.